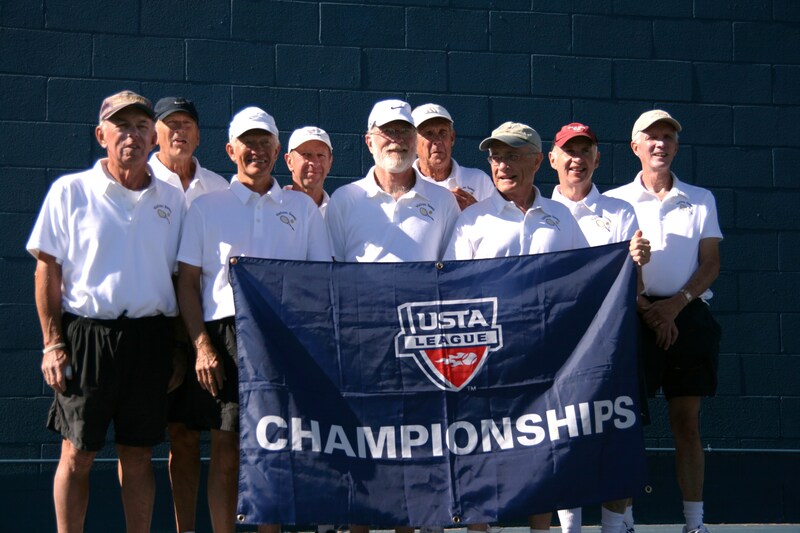 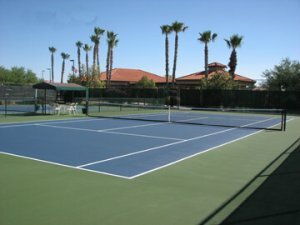 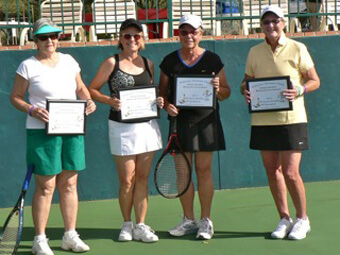 The purpose of the Sun City Tennis Club is to promote the sport of tennis in our community, to provide an environment of camaraderie and fellowship among those interested in the game, and to provide social functions during the year as well as interclub events with other tennis communities. 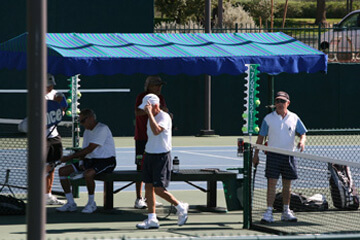 In addition, there may be opportunities to compete in USTA events. 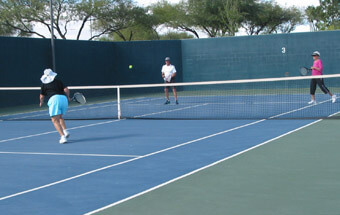 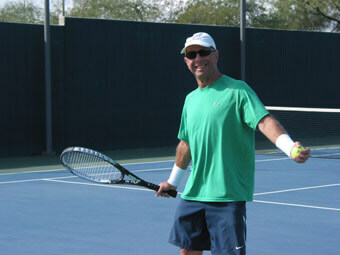 We hold tournaments for tennis players who are members of the club. 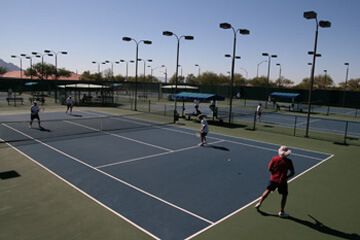 These include a Mixed Doubles Tournament, a Men’s Doubles Tournament, and a Ladies Doubles Tournament. 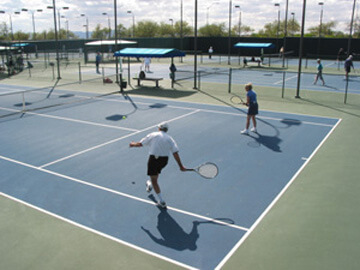 There are other Mixed Doubles events during the course of the year, which include social activities after the conclusion of tennis play. 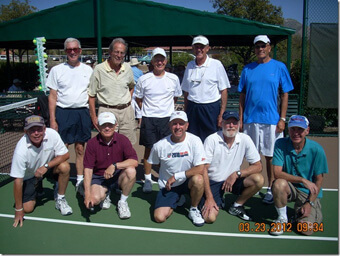 There are two General Meetings, one in November and one in April, which include club business as well as social components. In December, we have a Holiday Dinner Party. 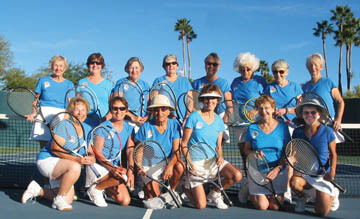 We do an annual fundraiser concert to generate funds for club activities. This also helps to fund our donations to three charities in the Sun City community: Casa Amigas, Cheer Bears, and Seniors for Kids. 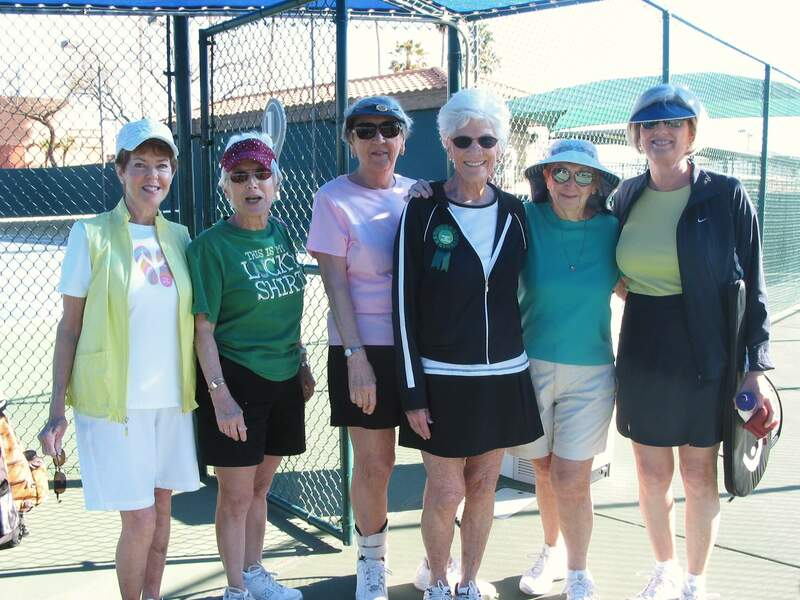 Additional voluntary contributions from club members also assist these charities. 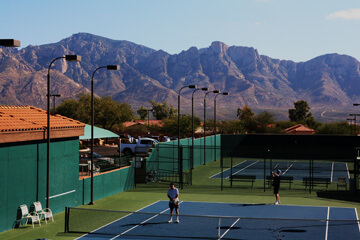 There are opportunities for tennis at all levels, from those who just recently learned to play to those who played during their high school and/or college days. 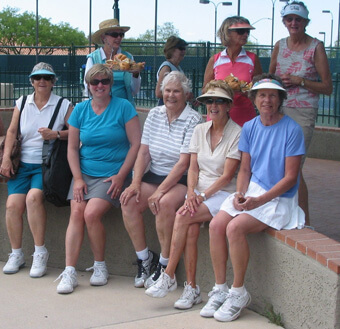 Open social tennis for women is held Monday, Wednesday, and Friday mornings, and for men it is Tuesday, Thursday, and Saturday mornings. 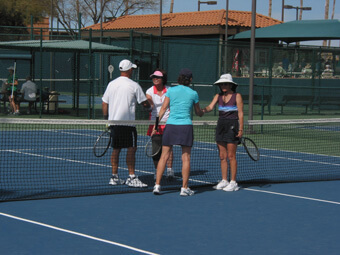 Open mixed doubles play is on Sunday afternoons. 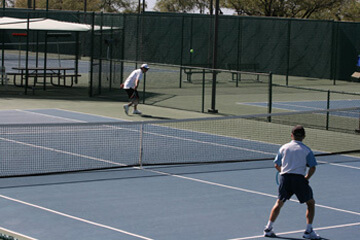 We welcome all to come and play this great sport. 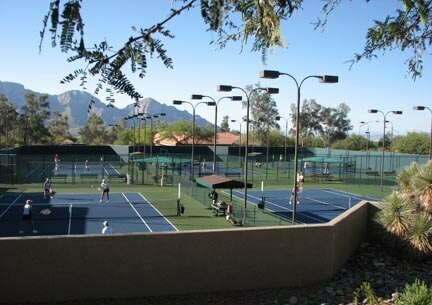 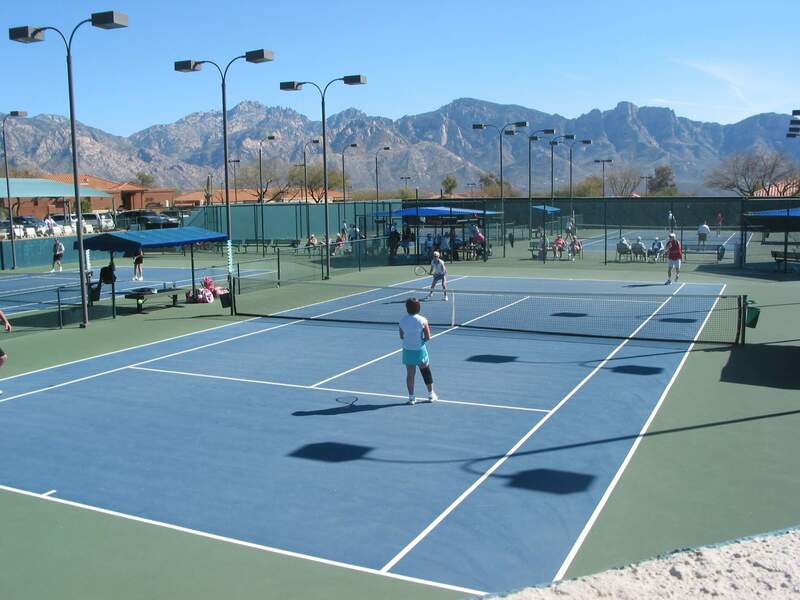 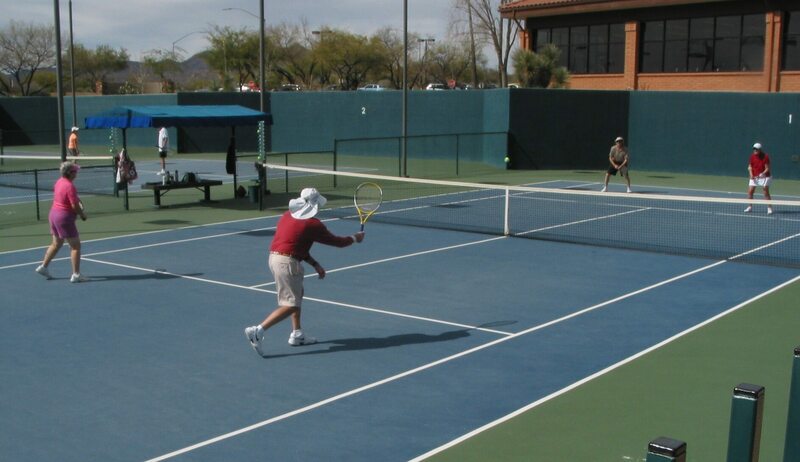 These Courts are centrally located and surrounded by the Fitness Center, Main Pool, Social Hall, Library, Pickle Ball Courts, Golf Course Pro Shop and Cafe with fantastic views of the Catalina Mountains. 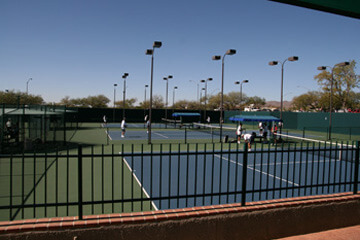 complex where the second pool is located.